Dynasties is a companion book to a programme coming to BBC One later this autumn. The book will be published on 25 October, priced £25 in hb. 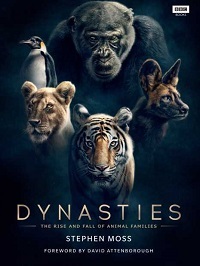 Dynasties offers a 'deep insight' into the hierarchies of animal families, with each chapter following a different dynasty, from the Marsh Pride lions of the Masai Mara, to rival packs of painted wolves, from a tiger and her newborn cubs, to a chimpanzee troop and to a penguin colony deep in the Antarctic. 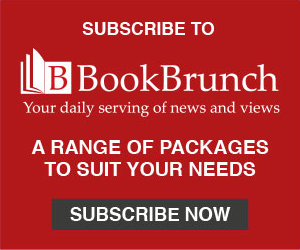 'Alongside those tender moments that build relationships through grooming and play, the book traces the fierce conflicts that shift power, when family members turn against each other and younger animals grow strong enough to challenge for control.' The book contains over 200 photographs and thoughts from the crew of the BBC series. Mike Gunton, executive producer, said: "After making Planet Earth II it's very exciting to now have the chance to show another, and I think even more intense and gripping, perspective on the lives of our planet's most impressive, yet vulnerable creatures."